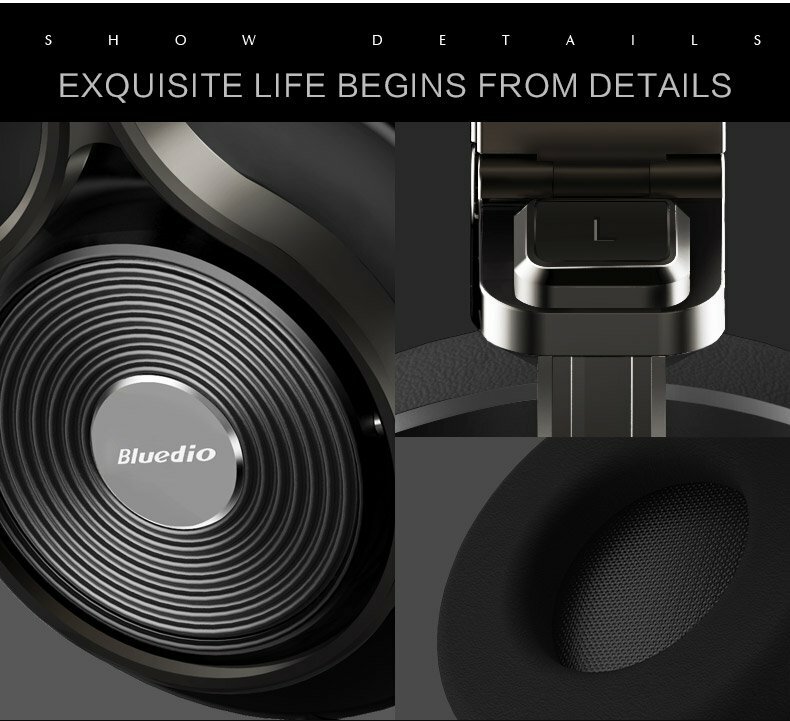 1) Zn alloy material body: ensures it to be durable. 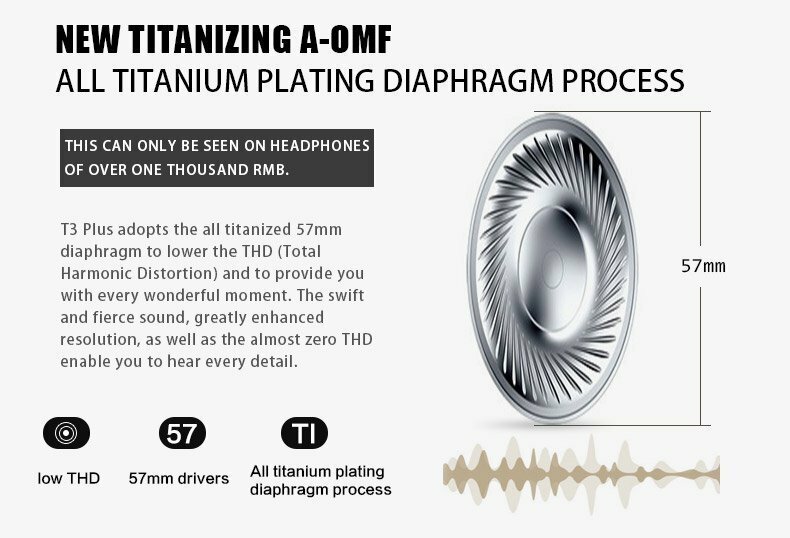 2) 57mm titanizing diaphragm driver: lowers THD and make sound more powerful. 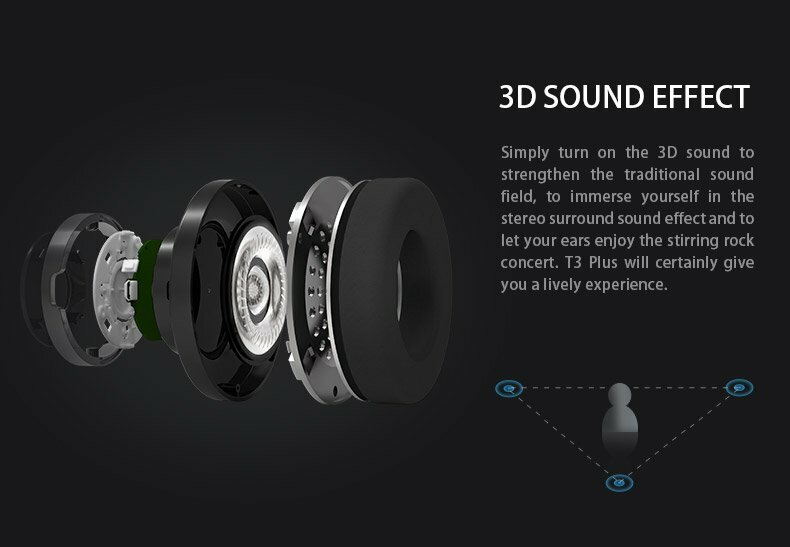 3) 3D sound effect: brings lively and stirring experience. 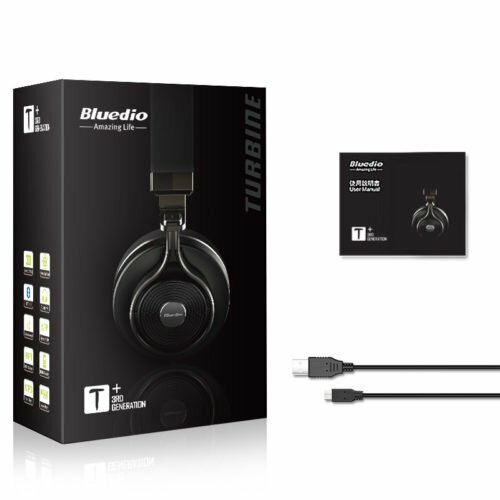 4) Support micro SD card playback. 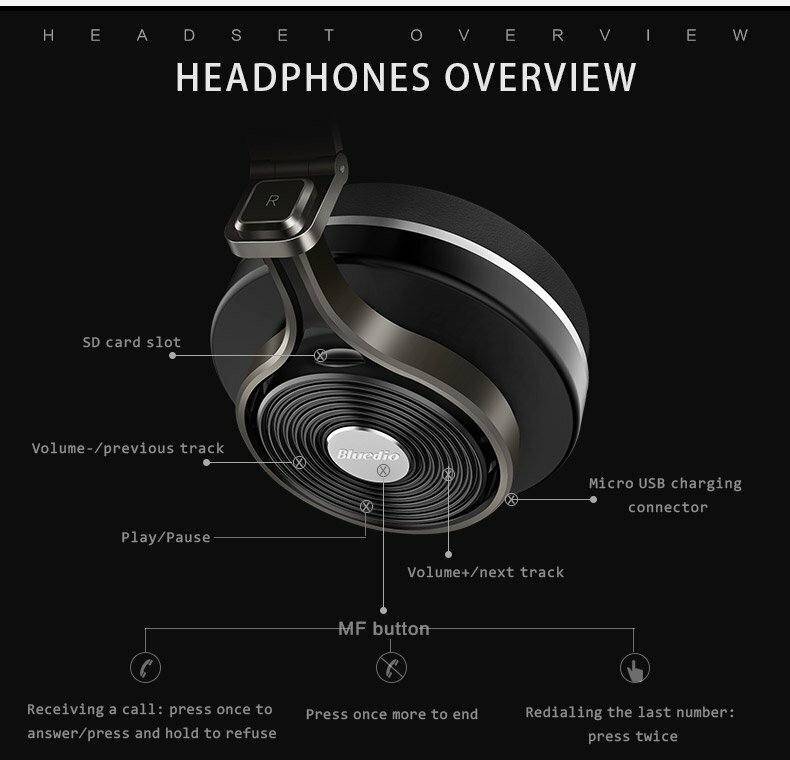 5) Memory foam earmuffs for long-wearing comfort. 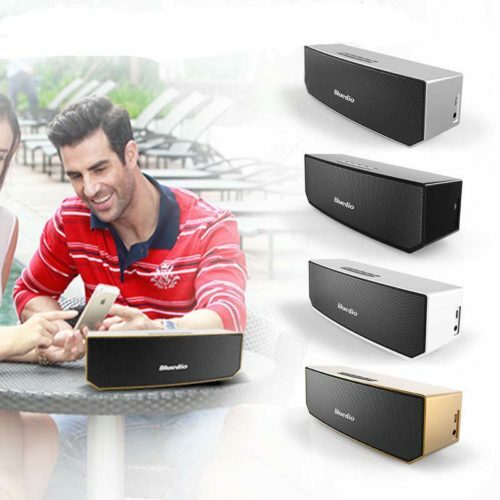 6) Line-in and line-out: Enjoy music even if battery runs out and also enables sharing music. 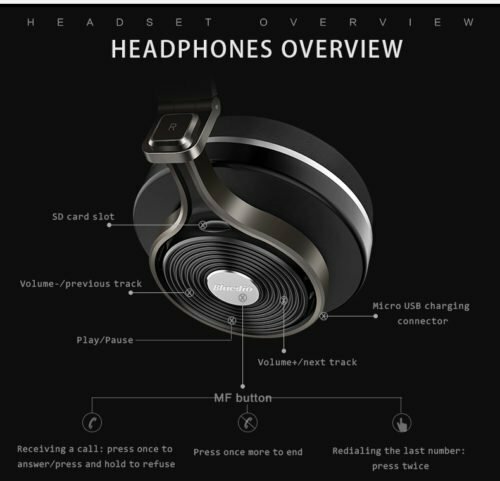 7) Foldable and flexible design: more convenient and portable. 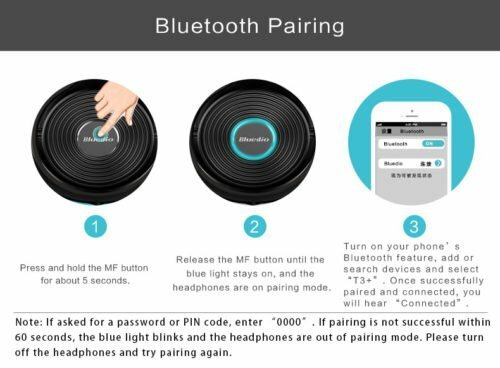 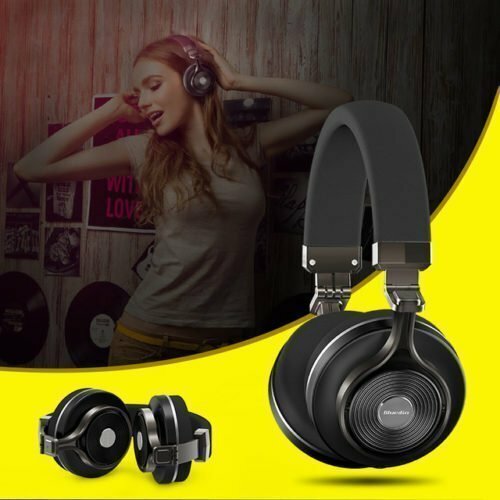 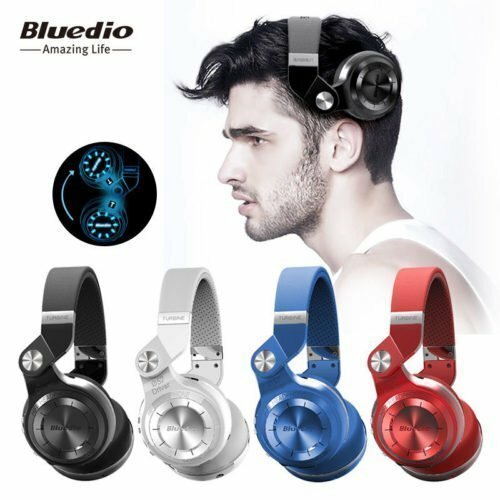 Bluedio T3 Plus, the updated Bluetooth headphones of Bluedio Turbine Series, is designed by professional Bluedio team. 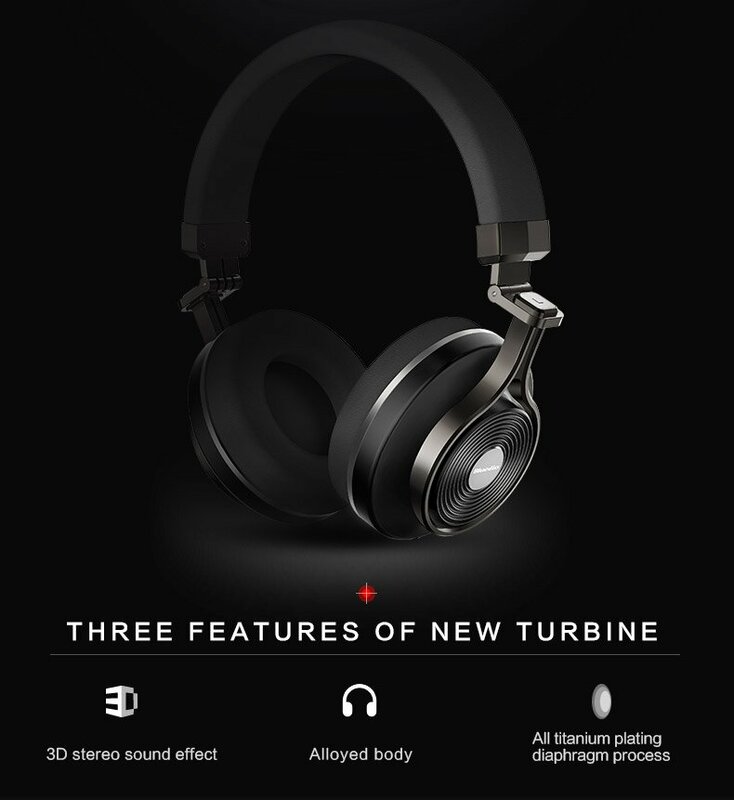 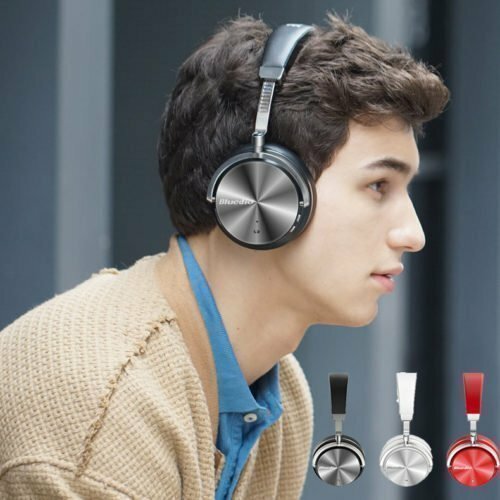 Compared with T2 Plus, it has a number of major upgrade: Zn alloy frame and body ensures it to be more durable; 57mm titanizing diaphragm leads to a better resolution, quicker response and dynamic swift sound; the totally new 3D sound, adopted by Turbine Series for the first time, gives you a more wonderful sound experience.